My first impression of this rather weighty book was a good one. Just by browsing through the chapters on offer, one can see that there is clearly a focus on anatomy which is not well taught in medical school. There is a whole chapter on the pterygomaxillary fossa, and another solely on the cranial base. 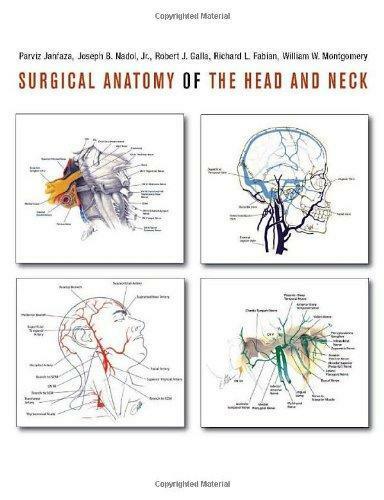 I was also pleased to see that there is a chapter on ‘Regional and free flaps for reconstruction in the head and neck’. This book is not strictly ‘anatomy’, and strays into ‘surgical atlas’ territory from time to time. There are 29 pages devoted to precise operative steps for a neck dissection, which I found to be the most complete description that I have ever read. As this work was written on the other side of the Atlantic pond, there is some mental translation required (e.g. ‘preservation of the ramus mandibularis nerve during excision of the submaxillary gland’, etc), which did flummox me at first, but the images provided came to my rescue on more than one occasion. The images are hand-drawn, focusing on simplicity rather than artistic gratification to convey their message. There are few hugely complex diagrams of the sort commonly seen in Gray’s Anatomy. Instead, each image focuses on one clear message in order to get the point across. For example, I have rarely seen someone take the time to draw an Onodi cell, with an optic nerve passing directly through it. Another example was the three separate (but rather similar) pictures for a scalenotomy, with the first showing the normal space available for the brachial plexus and subclavian artery, the second showing a compressed space, and the third showing the post-operative result. It is obvious that the authors want to hammer home these surgically relevant points. The brilliance of simplifying the images to this extent is that it was easier for me to visualise them later in my mind’s eye. There were, however, some rather unusual techniques utilised in some of the images. I found the strange, variably inverted image effect of the blood supply from the aorta to the brain very confusing. Also, the disharmonious colours used in some diagrams (e.g. spaces of the larynx) made the final result repellent to the eye. One further criticism: when I compared this work with other anatomy books in the library, I found that good dissection photographs corresponded better to the surgical reality; thus, this book’s use of line drawings alone was perhaps a miscalculation. On the whole however, the images worked well and deserve more praise than I have provided here. The text is partly in note form style, allowing the pictures to do most of the talking. This certainly made the book far more readable, and much easier to scan through quickly. I liked the ‘Surgical Implication’ boxes, which appear on every page (sometimes more than once). These snippets of information keep the discussion relevant to actual surgery. In conclusion, this large textbook does exactly what it says on the front cover. It concentrates on surgical anatomy, whilst avoiding pomposity. Although it strays into operative descriptions, I was thankful rather than resentful of this. I would recommend this anatomy book to anyone considering a senior otolaryngology career, as I have yet to discover a better example anywhere.